What’s better than Total Cuts? – Find out here. What Is Total Cuts By Cutler Nutrition? If you’re serious about turning up the dial on your fat burning, chances are, you’re looking into one of the many fat burners on the market. Which one is right for you? Which will give you the absolute best results for your money? You might come across one product called Total Cuts by Cutler Nutrition. Made by Jay Cutler himself, it’s clear that this one should deliver maximum results. After all, if it’s good enough for Jay, who’s been to countless bodybuilding contests, it should be good enough for you, right? Not so fast. Let’s first take a closer look at what Total Cuts by Cutler Nutrition is all about. One thing that really sets Total Cuts out from the rest of the fat burners out there is the fact that it contains a nice blend of electrolytes to help you maintain proper fluid balance in the body. This is important, especially while dieting as if you aren’t maintaining this balance, fatigue will set in. This can also help you rid yourself of any fluid retention, which is going to cause you to look bloated and in some cases ‘puffy’, taking away from the lean appearance you are going for. Note that this product is more focused on that water retention effect, so don’t mistake it for a conventional fat burner. While it does contain Green tea extract, which will provide a slight boost to your resting metabolic rate and encourage optimal fat loss, the product itself is not designed to provide fat loss itself. Instead, it’s designed to help ensure that as you progress with your fat loss program, you are seeing the absolute best results for your efforts by eliminating any water that you are holding onto. This is a great product to take before you plan to do a show or even before you have a special event coming up and want to squeeze all that extra water out of your body, looking as cut as possible. The other ingredients you’ll find in Total Cuts are Niacin, Vitamin B6, Magnesium, as well as potassium. This are your basic electrolytes, which as discussed, will help keep you feeling your best as you begin cutting out your fluids. On top of that, you’ll also get a proprietary blend, which contains a long list of ingredients, designed to act as a diuretic in the body. These ingredients promote the excretion of water in the body while also helping to protect your urinary tract and keep your kidneys in proper working order. Capsicum extract has also been proven to boost metabolic rate temporarily, so this may bring about additional fat loss benefits as well. Unfortunately as this is a proprietary blend, it can be hard to know exactly how much of each active ingredient you’re getting and therefore how powerful this product really is. This said, these herbal ingredients do tend to have mild diuretic effects on the body, so you should see fairly good results from this product if you are also following a proper water reduction and diet protocol. 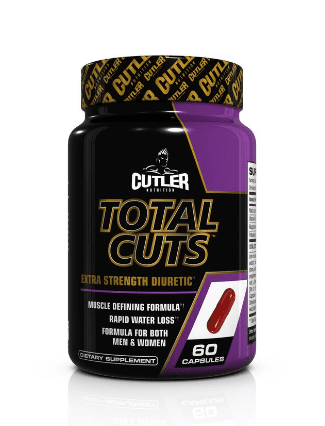 Total Cuts is a decent product but is missing some of our favorite fat burning ingredients and did not make it to the list of the best fat burners on the market. 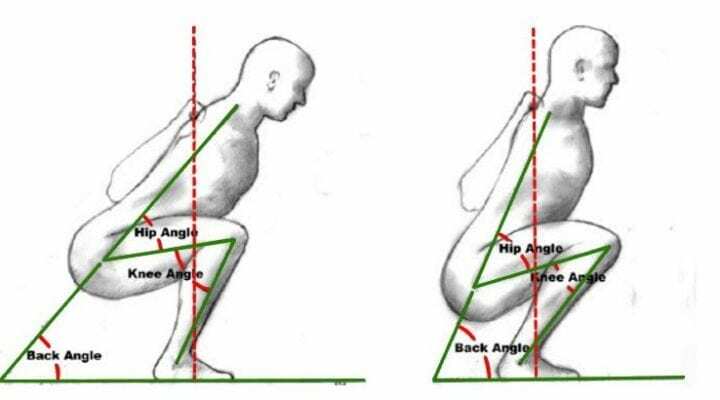 Should not be used on an ongoing basis as a means to getting lean. Instead, it should only be used on occasion when water weight loss is desired. Did not make it to our list of the best fat burners on the market. All in all, if you simply want to reduce your water weight and look leaner, this product will likely give you just what you need. You won’t get a lot of extra fat burning effects with it, however you should find that you do see slightly faster results, improving your body composition in the process thanks to the green tea extract and capsicum that’s included in it. If you want more of a fat burning effect however, you’re better off going with a traditional fat burner like those on our top 3 list for fat burners. Does Total Cuts By Cutler Nutrition Come With Side Effects? What sort of side effects might you see with Total Cuts by Cutler Nutrition? Because the product is entirely herbal in nature, the risk of side effects will be quite low. Some people may notice that they feel light headed however as their water weight starts decreasing. For most though, the addition of electrolytes will help offset this, ensuring you still feel well. Others may start to feel slightly warm after using this product, thanks to the addition of the capsicum, which will raise internal core body temperature. This should be very tolerable however and is a great sign that the product is working. You can purchase Total Cuts by Cutler Nutrition at most major supplement retailors or online at Bodybuilding.com or directly from the website. It retails for approximately $30 per 60 capsule bottle, which is enough to last you about one month. How Do I Take Total Cuts By Cutler Nutrition? For best results, you should take one capsule first thing in the morning on an empty stomach and then another capsule in the afternoon, preferably a few hours after a meal. Does Total Cuts Come With a 100% Money Back Guarantee? Unfortunately Total Cuts does not come with a 100% money back guarantee. You can only return the product if you buy directly form their official website within 30 days in original and unopened packaging. Are there better options available for a fat burner? Total Cuts contains a proprietary blend and is missing some of our favorite fat burning ingredients that’s why we believe there are some better options available. Check out our top 3 choices for fat burners here. Belza, Anita, E. Frandsen, and Jens Kondrup. “Body fat loss achieved by stimulation of thermogenesis by a combination of bioactive food ingredients: a placebo-controlled, double-blind 8-week intervention in obese subjects.”International journal of obesity 31.1 (2007): 121-130.
i think its funny that you guys waited until after this product was discontinued to review it. This is an old review that was originally published in 2016, it was just recently updated a little bit therefore showing the last updated in 2019 thing.